Brazil’s new president, Jair Bolsonaro, was sworn in on January 1. He won a landslide election in October on a platform that’s pro-business, pro-gun, pro-United States, and pro-Israel. 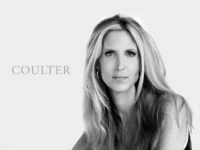 At the same time, his platform was also anti-crime, anti-political correctness, anti-Cuba, and anti-Venezuela. 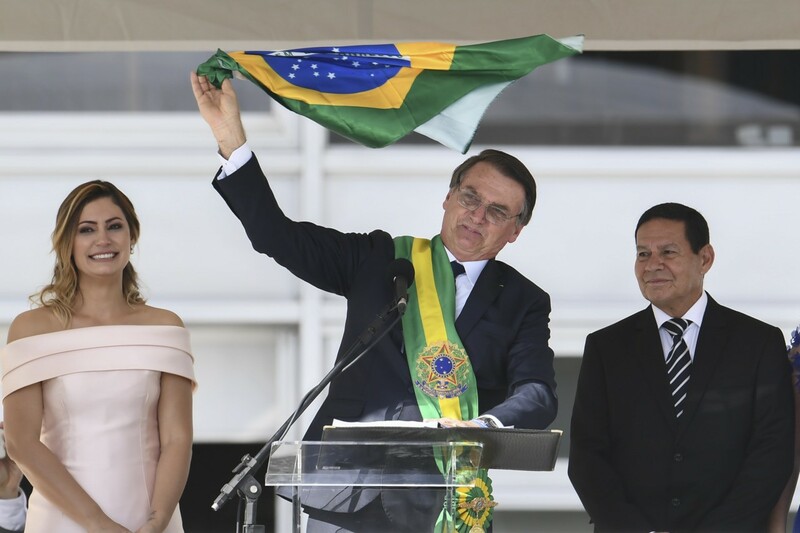 Brazil’s new President Jair Bolsonaro (C) waves a national flag while addressing supporters during inauguration ceremony at Planalto Palace in Brasilia on January 1, 2019. (EVARISTO SA/AFP/Getty Images). 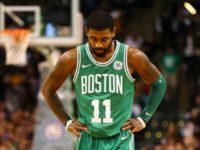 A recent poll showed his approval rating to be 75 percent. Yet Brazilians will likely judge Bolsonaro on that most familiar of metrics: the economy. The country is, after all, poor—it ranks 110th in the world—and it shouldn’t be. By territory, Brazil is the fifth-largest country in the world, and on that land, and under that land, are vast natural resources. It’s been estimated, in fact, that Brazil’s natural wealth—much of it gold and uranium—is worth $21.8 trillion. That’s a lot of money, about $103,000 for every Brazilian man, woman, and child. It is, of course, important that some equitable plan for resource development be put in place. That is, a plan that rewards risk-taking and entrepreneurship but also assures workers and citizens a piece of the action. We might note that one of the signal successes of the previous left-wing regime was its program of family allowances, aimed at the poor and working poor. Such conscious spreading of the wealth is, of course, good politics, and yet it’s also good policy because every citizen deserves a fair shake and because it’s important to preserve social peace. Yet if fairly dividing the pie is important, strongly expanding the pie is even more important. There’s wealth in Brazil, but not nearly enough of it—at least not now. And part of that problem is that Brazil is remarkably undeveloped. If we look at a map showing where the nation’s 211 million people are located, we see that they are mostly huddled along the Atlantic Ocean. We might compare this situation to that of the U.S.; imagine what our prosperity would be like today if we had never pushed across North America, to Texas, California—and everywhere else west of the Atlantic seaboard. So why haven’t Brazilians gone west, as we did? Part of the answer is that the territory is mostly Amazonian rain forest, and as such, for most of Brazil’s history, it has been inhospitable to settlement, let alone development. Yet by the time that new technologies to foster development in Amazonia had come along—including air conditioning, mosquito abatement, and the helicopter—a new and hostile political attitude had taken hold. The new thinking focused on preservation, of both the land and the native people. Some of this new thinking was guilt about past ill-treatment of indigenous folk, leading to the present-day idea that they should remain in their environment, living as they always had. And some of it, too, was an emerging ecological consciousness; Amazonia is, undeniably, a fascinating and abundant region, and as such, it has become a preoccupation of Greens around the world. As a result, much of Brazil’s land became off-limits to development. Today, indigenous tribes account for .4 percent of Brazil’s population, and yet they inhabit 13 percent of the land. To put that another way, natives are about 32 times more “land rich” than the average Brazilian. Admittedly, there are often violations of these pro-native restrictions, as illegal poachers and loggers seek quick profits in no-go zones. And yet because these violations are illegal, they are episodic, not offering the potential economic benefits of permanent settlements and systematic development—that is, of the kind that could offer good jobs at good wages to all Brazilians. Combined with other environmental restrictions on land use, Amazonia has become something of a giant national park, and that fencing off of resources has helped to impoverish the nation. And, of course, nobody is poorer than the indigenous tribes; one wonders if people living in huts are really happy living that way—and many do, in fact, flee. Indeed, if we want a quick measure of which countries are rich and which aren’t, we might view a nighttime map of the world. Where we see dark, not light, there’s not many people, nor much prosperity. And Brazil has plenty of people; the problem is that they lack the wealth to purchase that obvious indicator of economic progress, lights at night. Moreover, as we all know, in recent years there’s been a sudden surge of attempted restrictions on economic activity in every country in the world—namely, international mandates to clamp down on carbon dioxide, all aimed at doing something about climate change. The average Brazilian doesn’t consider climate change to be a very important issue, especially not in relation to truly terrible problems such as poverty—or the crime rate, which is even more terrible. Indeed, Brazil is rated as having the highest crime rate in the world, and street crime is terrifyingly rampant. Yet still, before Bolsonaro, leftist Brazilian governments had meekly accepted the Western Green agenda, even if it hurt economic development. Such is the power of ideas—and of foreign aid with strings attached to it. 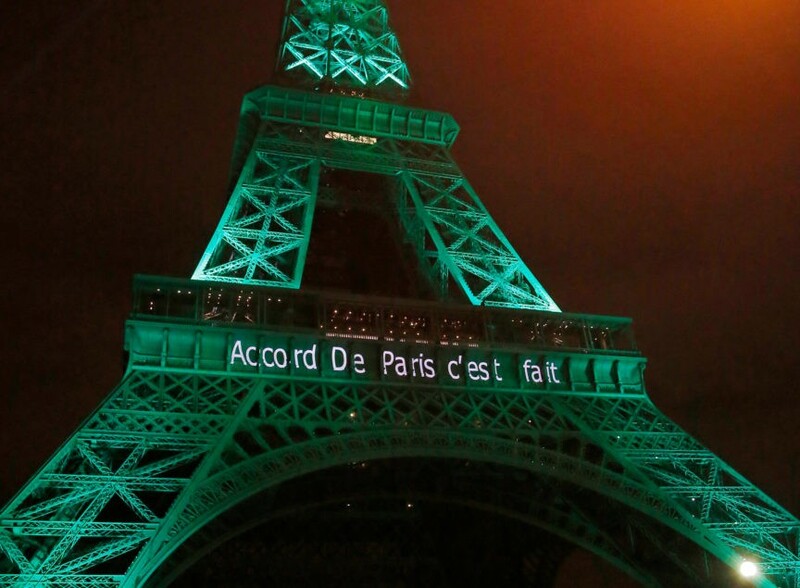 Climate experts in Bonn seek to make Paris climate deal work (AP Photo/Michel Euler, FILE). So we can see that in his fierce antagonism toward foreign hegemonists, Araújo almost sounds like a leftist himself. And yet he’s not: he’s simply a Brazilian nationalist, tired of other countries imposing their will on his country. Yet in addition, Brazil’s potential wealth extends far beyond the resources that have already been identified. As Bloomberg News has reported, Bolsonaro carried chunks of metal with him on the campaign trail, all to make a point about the value of mining. One of those chunks was of niobium, which is one of the rare-earth elements that undergird the modern economy. Because it is needed to strengthen steel and semiconductors, niobium is precious; it sells for about $42,000 a ton. Brazil has 40 million tons of niobium, and if we do the math, that’s $1.68 trillion—which is a lot for a country whose annual GDP totals barely more than $2 trillion. The metal is already being mined in Brazil, but Bolsonaro’s point is that there’s a lot more niobium in the country–and many other rare earths, too; Brazilians just have to find them and get them out of the ground. As an aside, we might note that rare-earth elements are a key strategic concern of the U.S., since they are vital to our military technology, as well as to our civilian tech. And yet today, the U.S. is 100 percent dependent on China for 29 minerals. If such dependency on a potential foe doesn’t seem to be a good idea, that’s because it isn’t. The Trump administration has emphasized the need for domestic rare-earth production, but with distinctly limited success, at least so far. And so in the meantime, it would be enormously helpful if we could import rare earths from Brazil. Needless to say, the thought of digging up Amazonia in pursuit of minerals is horrifying—horrifying, that is, to Western environmentalists. Yet for their part, Brazilians seem okay with it; after all, they just voted Bolsonaro into office. As this author has argued in the past, if a resource is sitting there, it only makes sense that hungry people will wish to see it utilized. Green elites may sentimentalize poverty as “living in harmony with nature,” but the poor would rather have refrigerators, automobiles, and good health care. Given this reality—that people won’t willingly stay poor while wealth sits under their feet—one might think that Western Greens would be well advised to work with Brazil, so that the nation’s mineral wealth can be developed responsibly. That is, resources could be mined using best practices, such that environmental damage is minimized and then the land completely reclaimed. After all, mine reclamation has made huge advances; with proper techniques, the wealth can be extracted and the land made as good as ever. We might pause over that word: contain. That is, the people of Brazil just elected a new leader, knowing full well of his pro-growth agenda. And yet now, the Sierra Club, and other Western Greens, seek to contain him—and, by extension, to contain the Brazilian standard of living. Will Brazilian nationalists be pleased to discover that the Greens are actively using international financial levers against their country? And how will ordinary Brazilians respond to these threats to their standard of living? It will be interesting to see what happens in this looming standoff. 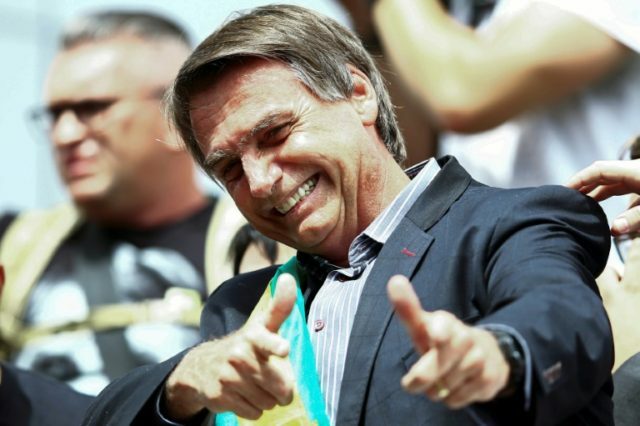 U.S. expects Bolsonaro visit in early 2019 (AFP/File MANDEL NGAN, Nelson ALMEIDA). 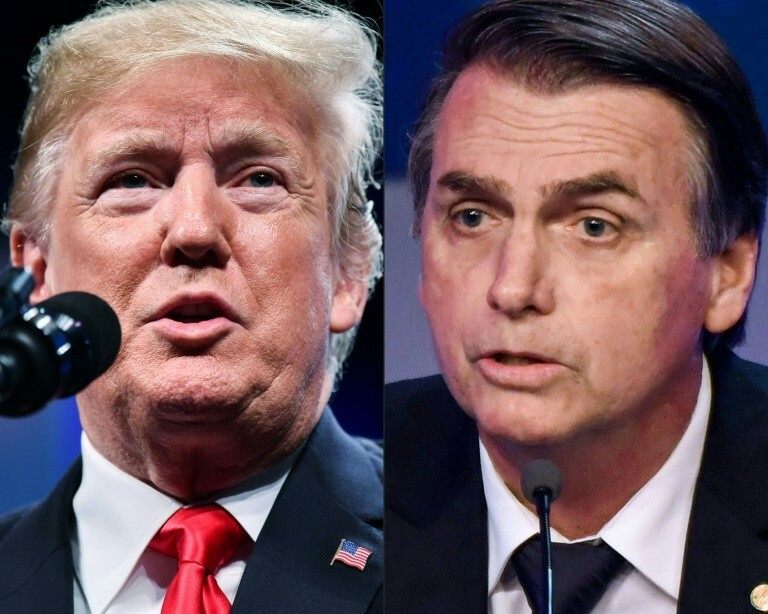 Trump has his track record, and Bolsonaro is starting his. Mindful of the high stakes, other economic nationalists, in other countries, should be paying close attention.